Political communication is the process by which language and symbols, employed by leaders, media, or citizens,exert intended or unintended effects on the political cognitions, attitudes, or behaviors of individuals or on outcomes that bear on the public policy of a nation, state,or community. Political communications is an interactive process concerning the transmission of information among politicians, the news media and the public. The process operates down-wards from governing institutions towards citizens, horizontally in linkages among political actors,and also upwards from public opinion towards authorities. well as information about their issues of interest. During elections people are exposed to many different advertisements that support, demean, or respond to attacks about political candidates. These advertisements are aimed towards the electorate and try to sway voters opinions to a side once election day comes. 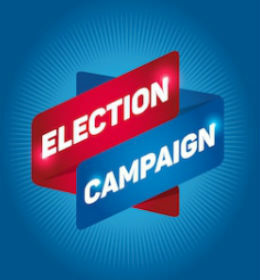 There are three different kinds of advertisements that a candidate will run during the election. The first kind of ad praising the candidate. The second kind condemn the opponent. The third, respond to attacks to the candidate. Praising the candidate is the first kind of ad that a campaign will run in support of their candidate. These types of advertisements show the strengths of the candidate. They paint the candidate in a positive light, making him seem likable. These advertisements are used to explain the candidates stance on the issues. This mock political advertisement from 2008 shows how a politician is painted in a positive light. Condemning the opponent is the next type of advertisement that campaigns will employ to make their candidate look better. These advertisements are designed to paint the opposing candidate in a negative light. These ads look at the candidates past and focus on his or her shortcomings. The aim of these advertisements is to increase the negatives that are linked to the opposing candidate. This real advertisement ran during the campaign for governor of Ohio in 2010. The third and final advertisement that a campaign will run is responses to attack ads. These ads need to occur rapidly after an attack ad is aired. They also need to be used repeatedly to be effective. They respond to attacks and give the candidate a chance to reconcile with the viewer. This ad is a response from Don Sherwood after he allegedly had an affair. Political advertisements are aimed at swaying viewers one way or the other. These three examples are just a few in thousands of campaign ads that are run every election year. Television gives politicians a chance to capture you and your attention for just a minute and influence you on how you feel about certain candidates. Most of these ads are targeted to people who have not yet made up their mind on who they are going to vote for.